Coordinator-entered time off immediately unassigns the helper from any overlapping shifts and sets those shifts to be unassigned. When a helper requests a time off and the coordinator approves it, the helper is also unassigned from any overlapping shifts. Time off can be added to unpublished or published weeks as far into the future as you like. Helper can sign in and enter a time off request which is then sent to the Coordinator to approve or deny. 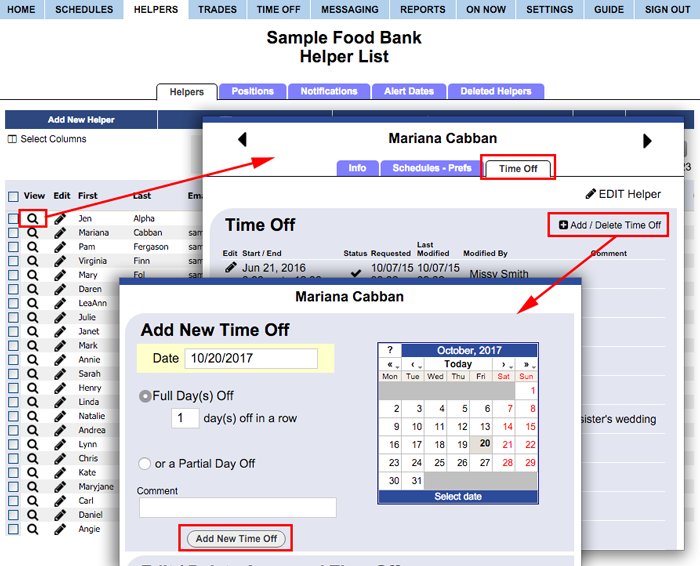 Coordinators with permission can enter Time Off for the helper using the Time Off section or, more quickly, by clicking the corresponding cell for the helper and day you want to add the Time Off on the By Helper Schedule View. 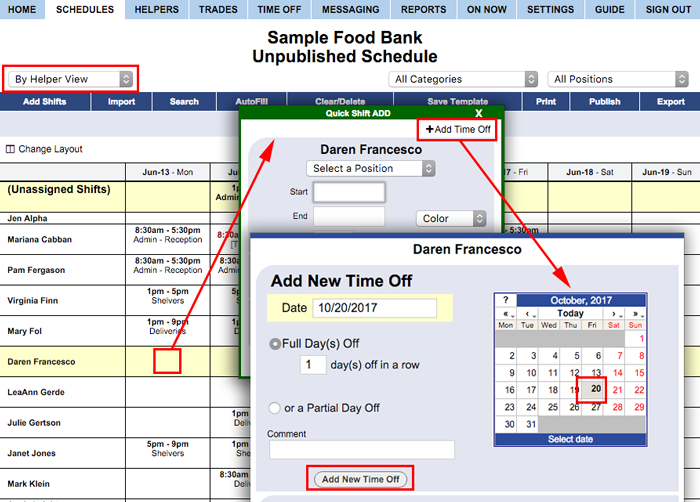 The Time Off is added and if the Helper has set their notifications to notify them when a time off is added or approved, they will be notified by email or text message.